When it comes to make-up, I’m picky. I like what I like, I stick with what I know and when I find something that works for me, I stock up - just in case the apocalypse happens and all that. One little pot of wonder you will always find me reaching for is my Motives Eye Base. Motives caught my eye a while back when a friend of mine became a Motives Maven for a while. She ranted and raved about good the eye base was, so of course, I had to see for myself. 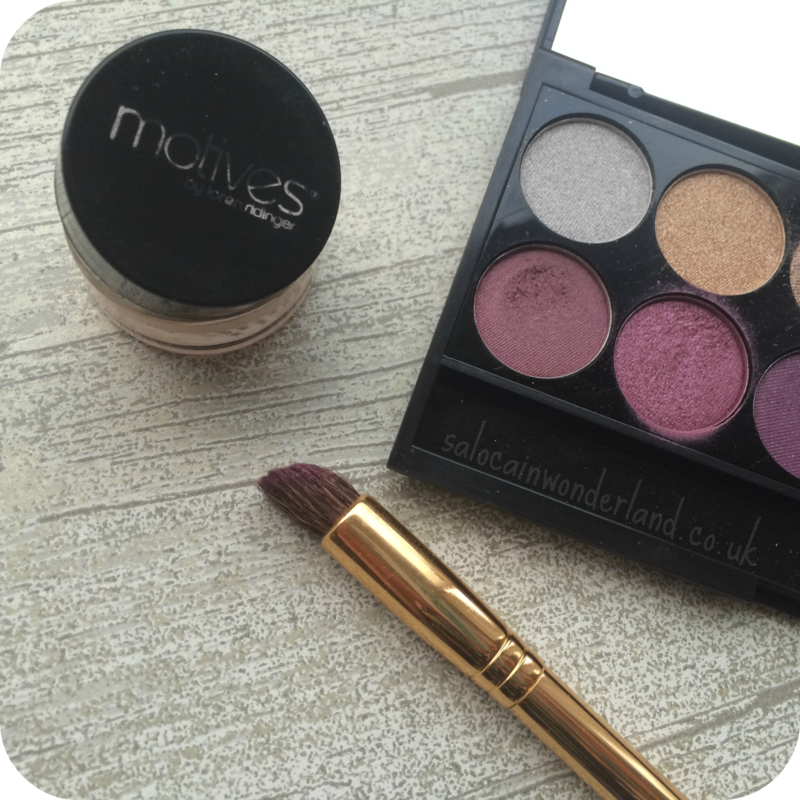 I got hands on with Motives at two Liverpool blogger events back in 2015 and both times, the eye base found it’s way into my hand but never into my collection. But then…it did! One lucky raffle ticket later and it was mine, my sweet precious! 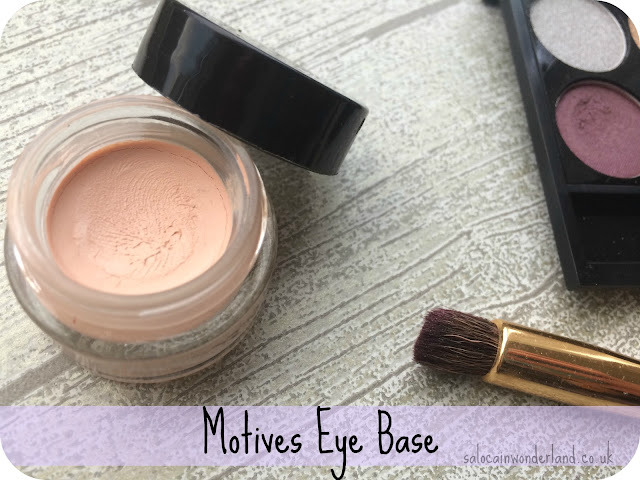 The Motives eye base is a lightweight, creamy formula that smooths and evens the complexion of your eyelids, extending the wear and intensity of your eyeshadow. It’s crease free and doesn’t cause weird, dry patches like I’ve seen some eye bases do. I won’t put a shadow near my eyes now without this little pot of dreams. In the swatch, I’m using a colour from my Sleek Vintage Romance palette. Just look how it pops with the eye base underneath compared to the prime-free swatch. The colour intensifies tenfold for some serious come at me eyes. I’ve used the base with everything from neutrals to vibrant colours and each colour comes out more intense with the eye base than without. I’m no MUA, hell, I can just about blend a couple of different shades together into something passable, but I find that just intensifying the colour and having it not fall out or sweat down my face really makes my eyes pop behind my glasses and makes my face look and feel, a lot more put together! The one thing I will say is that if I put too little on my eye, it dries quite chalky, which doesn’t affect the pigmentation of the shadow, it still pops, but, does cause some creasing right near the inner corner. So more is better but too much and you’re left with a lot of excess product to wipe up. It’s a bit of a blanking act but with some practice I’ve managed to work out what's the right amount for me! It does, however, do a cracking job at mattifying oily eyelids! 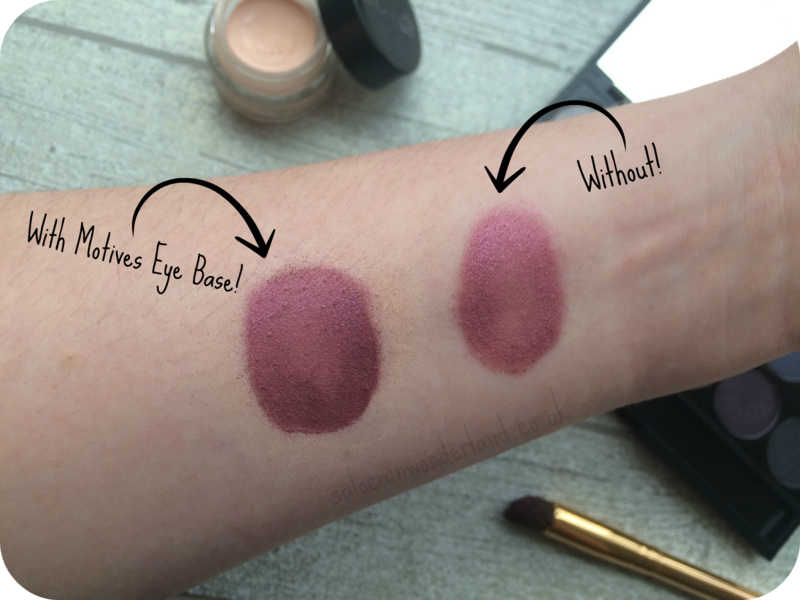 Do you use an eye base? I don't use eye base, as I usually put a little bit of foundation on my eyelids and I think it's fine like this. I'm not sure if a eye base would make a big difference. Did you notice if the make up lasts longer with the base? I've never thought to try a shadow with and without a primer, what a difference! Yeah so I am gonna need this... I ordered a black pencil base for dark shadows & was gonna get the white one but you may have swayed me to this now.